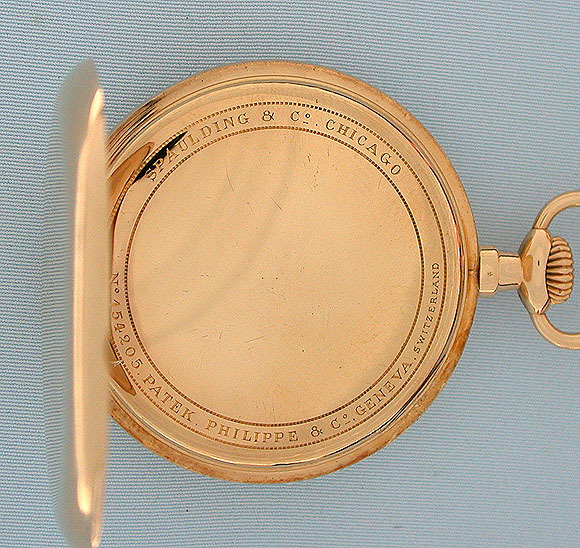 Fine Swiss Patek Philippe slim 18K gold 20 jewel antique pocket watch circa 1910. 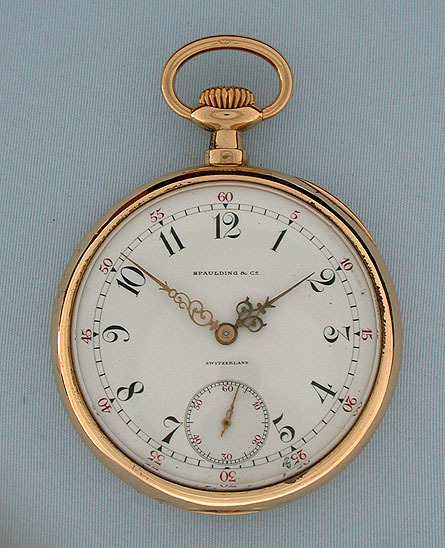 White enamel dial with red and black numerals and fancy gold hands. 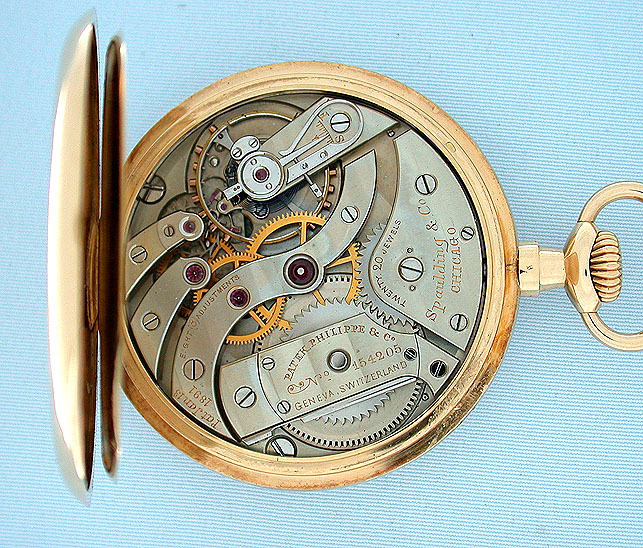 Fine nickel 20 jewel 8 adjustment movement with wolf's tooth winding and precision regulator. 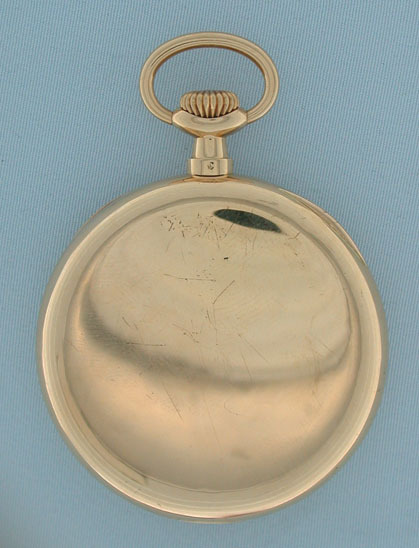 Plain polish case with small dent in the dust cover.